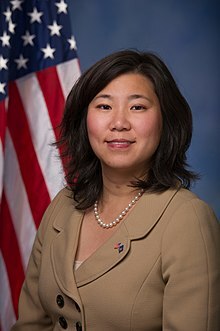 Representative Grace Meng (D-NY) led the way in getting menstrual hygiene products included on an expanded list of products for which flexible spending account funds can be used under H.R. 6199, Restoring Access to Medication and Modernizing Health Savings Accounts Act of 2018. The House of Representatives passed that bill on July 24, 2018. The bi-partisan bill now goes to the Senate for a vote. It brings us another step closer towards making menstrual hygiene products more accessible and affordable to women. Menstrual hygiene products are essential and necessary for women, and deserve to be items that are permitted to be purchased with health flexible spending account funds. There is no reason why menstrual products should not be included, and I am thrilled that we are on the path to finally changing that wrongheaded policy. Overall, this is a welcome change. After all, if Band-aids and condoms are eligible to be purchased with flexible spending money, then it makes sense that menstrual hygiene products should eligible, too. From a tax perspective, flexible spending accounts are beneficial to both employers and employees. Employers do not pay Social Security tax on employee contributions to FSAs, and employees’ contributions are pre-tax. (More details here.) According to one study, flexible spending accounts are offered by a large percentage of employers, but it is worthwhile to note that this salutary change to the tax law does not benefit those whose employers do not offer FSAs, those who make so little that they cannot afford to divert part of their salary to an FSA, or those who are unemployed. So, I think of expanding flexible spending to include menstrual hygiene products as just one part of a much larger menstrual equity effort. Representative Meng has previously sponsored legislation that would provide a refundable tax credit to low-income women for use of menstrual hygiene products. My prediction as a tax lawyer is that will go absolutely nowhere. There is greater promise for Representative Meng’s proposed legislation that would require manufacturers to disclose the ingredients contained in any menstrual hygiene products. Without a change to the law, it is impossible to know for sure what products are contained in those tampons, pads or cups with which we may be, ahem, intimately familiar. Without knowing what is in the products we use, it is difficult to make informed consumer choices. As an addendum, note another feature of the H.R. 6199, Restoring Access to Medication and Modernizing Health Savings Accounts Act of 2018 — not attributable to Representative Meng, as far as I know. The bill proposes expanding the definition of “amounts paid for medical care” (and thus eligible for payment with FSA funds) to include up to $500 (for individual filers) or $1,000 (for those married filing jointly) of amounts paid for ‘‘(i) membership at a fitness facility, (ii) participation or instruction in a program of qualified physical activity, or (iii) safety equipment for use in a program (including a self-directed program) of qualified physical activity.” Again, that’s great for people who can afford these things, but low income people who cannot afford gym memberships, yoga classes, or cycling classes receive no benefit from this proposed change. A comprehensive plan to make menstrual hygiene products and physical fitness activities more affordable to all people might look quite different than this tinkering at the margins. Yet from a pragmatic perspective, I’ll take it for now. The changes do represent progress. Thank you, Representative Meng, for your work on menstrual equity. This entry was posted in Feminism and Economics, Feminism and Law, Women and Economics, Women's Health. Bookmark the permalink.